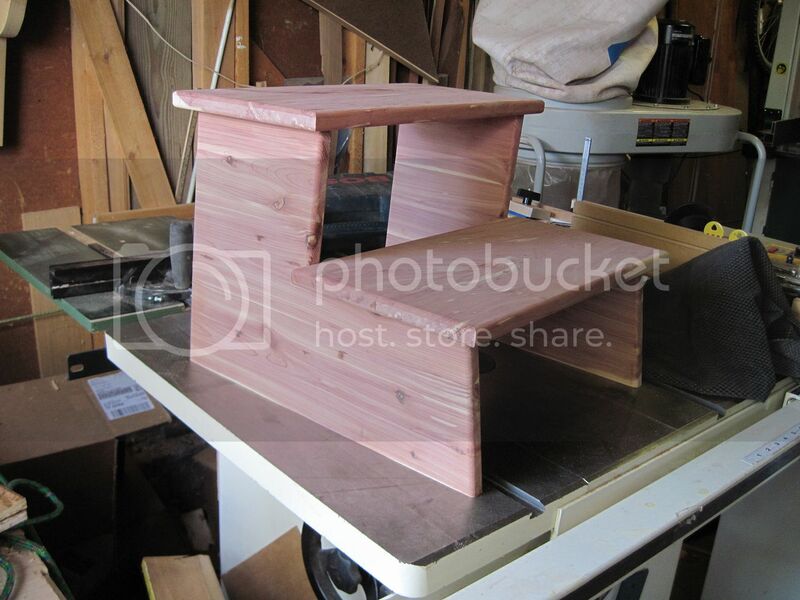 I'm working on a small project for Jo, building her a small step stool to help her in and out of bed. The new bed we got is considerably taller than the old one and she has some problems getting in after a long day. I've been going round and round with her over the wood and we finally settled on Red Cedar. 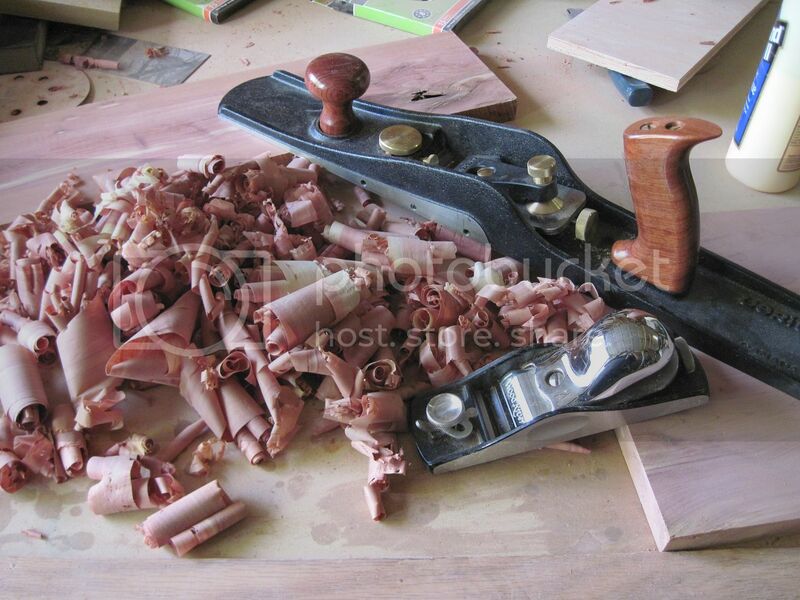 So here I am cutting, routing, sanding and planning this wonderful wood and I just love the smell. Makes being in the shop a pure joy. I got the steps dry fitted today. I'd cut in some dado's and stopped dado's to help the pieces hold together, though I'm still planning to add some gussets to the inside to prevent racking. You could apply an "apron" at the back edge of each step. By placing them at the back they wouldn't be seen (much) and would still provide sufficient support. Maybe mortise them into the sides as well? Thanks Dan, not a bad idea. I'll give it some thought. Just realized last night, that I'm going to have a little issue of cross grain with the treads. but I'll get creative with it. I haven't had good results - stability wise - with straight across sides like you have. Works better if you cut away an inch or so between the corners of each side to create 4 feet and double up the thickness of the "feet". JMHO. I think they are lovely, cedar just has this look of warmth but I don't see any stretchers there, I would be concerned about a sidways force that would cause them to lean and collapse. Maybe it is just the position in the photo and it is not visible? I'm gonna be adding stretchers and gussets. This was just a dry fit. No cross-grain problems, and lateral strength where needed if you use vertical grained sides. 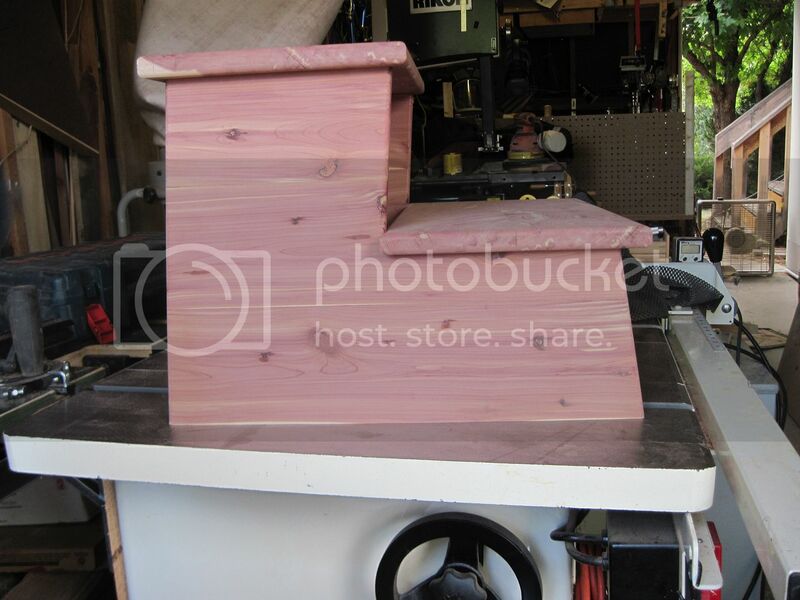 Weak wood and an-off-center foot on the top step concerns me.